For me, August is one of those in-between months-definitely still the summer, but Fall is so close that you can taste it and literally see it in the stores. Of that vein, there are several items that I'm loving right now that I plan to add to my wardrobe this fall. 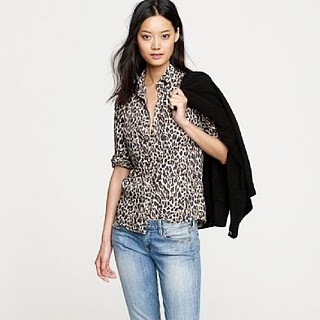 Re-emergence of Leopard: Leopard print is one of those prints that re-appears every so often. This coming season, I think the designers have done a fantastic job at bringing this print in a very classic, yet modern way to the stores. The Perfect Cross-body Bag: I take purse buying seriously and I have been in hot pursuit of *the* perfect cross-body since well, I'd say January. Tory Burch came through with the release of their city messenger bag. I will likely be pre-ordering this beauty. Laura Mercier Tinted Moisturizer: I'm a little late on this train, but better late than never. This ridiculous weather recently has had me searching for make-up alternatives to my normal regime that is just as good (or better in this case) and easy. I actually think I'm going to use this tinted moisturizer year-round and integrate it into my everyday. I opted for the oil-free variety due to my skin type and love love love it. Spiked Shoes: I have been lusting over this trend since Louboutin released the Pigalle Spiked Pumps. Unfortunately, those beauties are a smidgen out of my price range. When I was perusing the Nordie's shoe department recently I ran into a version my Sam Edelman that I fell in love with. They definitely aren't an exact match, but the I love the balance of the femininity of the bow with the masculinity of the spikes. What is on your love list recently? Anything you are particularly lusting after for the Fall/Winter Season? Should I be adding anything else to my list? I love your picks. 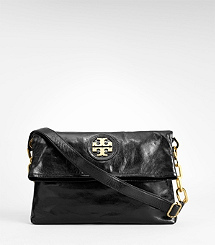 The Tory Burch bag is just so dreamy. I am starting to seriously crave boots. Lots of boots.